This spectacular celebration turns the whole city into an array of colour with people in ornate, baroque costumes and masks. Book ahead to attend a masquerade ball or simply enjoy the chaotic and unique atmosphere of the piazzas. The Historical Regatta is a spectacular flotilla of colourful boats on the Grand Canal with the golden Bucintoro, representing the Serenissima at its head. One of the most important traditions on the Venetian calendar, Festa del Redentore combines religious events with family parties and a huge fireworks display. This annual event is part of Biennale and is one of the oldest film festivals in the world, attended by numerous directors and world-famous actors. With a city as popular as Venice, it can be hard to find its authenticity. But Cannaregio, Venice’s most northern sestiere, has it in droves. Duck into side streets and you’ll find little bakeries, market stalls and locals going about their everyday life. Head to the oldest Jewish Quarter in the world to see a glimpse into a fascinating history. Evenings are lively with families and friends enjoying drawn-out dinners in Fondamenta della Misericordia. This charming Venetian courtyard hotel is a small and tranquil guest house in the centre of Venice and a short walk from St. Mark’s Square. From its prime position on the San Marco Basin, the Hotel Monaco and Grand Canal offers luxurious accommodation and stellar service alongside exceptional views of the island of Giorgio and Santa Maria della Salute church. 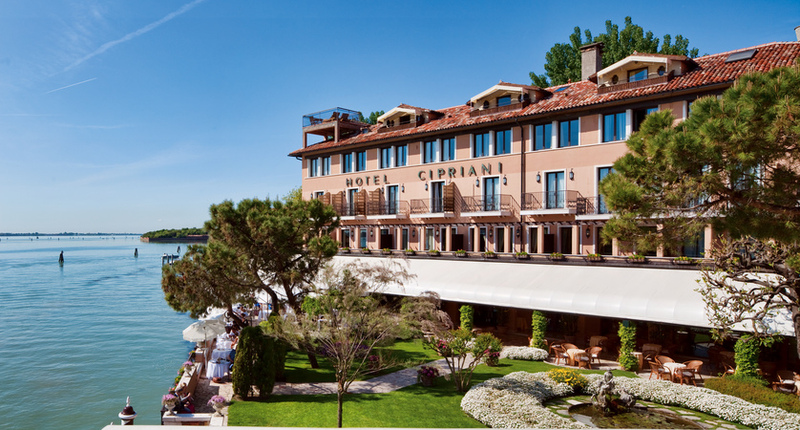 Surrounded by lush gardens on the island of Giudecca, near St Mark's Square, this hotel is the perfect Venetian retreat. 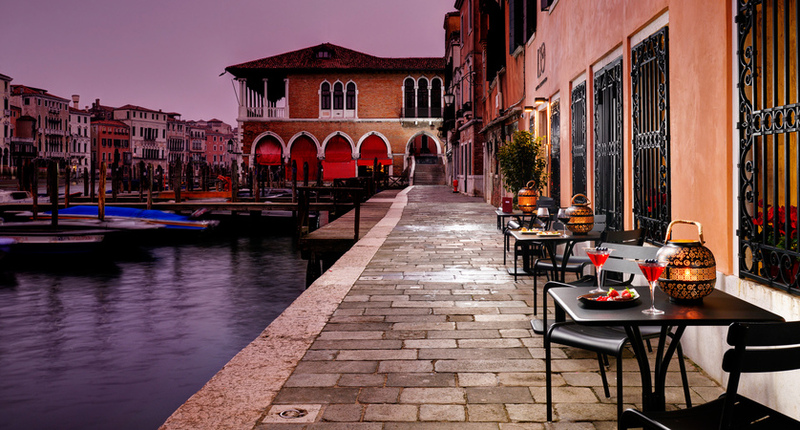 Boasting some of the finest restaurants in Venice, you'll have many delicious foods to choose from during your stay. A true hidden gem in the very heart of Venice, the Venice Times Hotel is the epitome of modernity and elegance in this ancient city. Just steps from the Santa Lucia station and famed Casino, this property offers one of the best locations for sight seeing Venezia has to offer. A beautiful palazzo which has been lovingly modernised in designer style with a cosmopolitan vibe. Across the canal from the Ca’ d’Oro gallery, this hotel occupies an enviably central yet tranquil spot. Bedrooms are distinctly modern in design with retro touches. A common thread throughout the hotel is the artwork referencing clock mechanisms and timepieces from which the hotel takes its name. A member of the ‘Leading Hotels of the World’ , Baglioni Hotel Luna is a luxurious property dating back to 1118, making it the oldest hotel in Venice. Boasting a private pier and enviable proximity to both the Rialto Bridge and St Mark’s Square, the SINA Palazzo Sant’Angelo is an exceptional base for exploring the city. Venice is close to some of Northern Italy’s most picturesque scenes. Lake Garda is a short drive away and its neighbours, Como and Maggiore, are worth adding onto the end of your city break to turn it into an unforgettable Italy escape. Combine a trip to Venice with a stay in Florence and Rome for the ultimate city break, or start or end your holiday with a trip on the iconic Venice Simplon-Orient-Express for a truly luxurious and romantic experience.